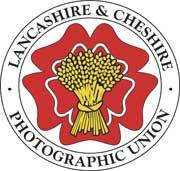 The L&CPU is a regional organisation with a membership of about 100 clubs in the North West area, including Hoylake. It provides a register of judges and lecturers, which is useful when building the syllabus and arranges a number of functions for photographers. The L&CPU organises an annual competition for prints and digital images. The regulations change slightly from year to year and work has to be submitted through the Club. Entries are judged separately but there is a club element as marks are totalled and a league table produced. Folios are afterwards produced from the year’s entry and these are available to the syllabus secretary for an evening’s entertainment. We usually see three or four of the folios. There is also an individual L&CPU Annual competition. 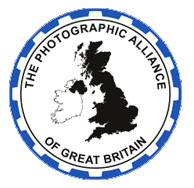 The PAGB (Photographic Alliance of Great Britain) is the National federation of local groups such as the L&CPU. It also arranges an annual competition, and the best of the annual L&CPU entry is retained and forwarded for this. Trophies are awarded to the successful federation. Images accepted for the PAGB exhibition tour the country, giving everyone the chance to see some of the best of club photography. The PAGB also run competitions for clubs and Hoylake PS usually takes part in these. To gain PAGB awards, entrants must be members of a PAGB affiliated club, as Hoylake is. Some of our members have PAGB awards, and those members who are interested in applying should contact a member of the Committee. The Royal Photographic Society is based in the UK, but recognised internationally. To obtain the RPS levels you must join the society and maintain your membership if you wish to retain the awards. For each level you have to produce a panel of prints or projected images. The Licentiate, (LRPS), Associate (ARPS) and Fellow (FRPS) are internationally recognised. To achieve the RPS levels requires much time and is a costly business. We have members who have achieved all three levels who can help in the early stages of preparing an entry. The RPS also arranges local and national meetings for members and non members and have an annual competition. If you want to take your photography to a wider population, then you might consider entering some of the many competitions available. 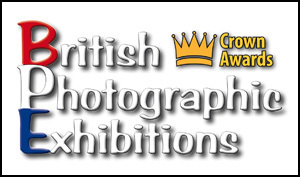 Some in Britain are part of the British Photographic Exhibitions– the BPE- through which you can gain Crown awards. For the BPE Crown awards, you need to have a specific number of images accepted in participating exhibitions. Further acceptances and awards can lead to the ABPE and FBPE awards. As of last year there were only 23 people who had gained the FBPE award, and one is a member of Hoylake PS! Some of members have BPE, PSA and FIAP letters to their name and can give advice to anyone wanting to start the process. Salons can be prints or digital and most entries are done completely online. The only disadvantage to entering is the entry fee, which varies enormously. Payment is normally by PayPal. One good place to start is our own Hoylake International Exhibition – which is free to Hoylake PS members. An MFIAP application requires a themed portfolio of 20 prints to the most exacting standards, which will be assessed by FIAP. GPU’s system for CROWNs is based on points that the photographers collect from acceptances, mentions and awards in international exhibitions of any patronage and year. GPU Crown 1: 200 pts. GPU Crown 2: 600 pts. GPU Crown 3: 2500 pts. GPU Crown 4: 6000 pts. GPU Crown 5: 15000 pts. ACCEPTED photo or portfolio (not GPU’s patronage) = 1 pts. Honorable Mention or Certificate (not GPU’s patronage) = 2 pts. Medal or Trophy (not GPU’s patronage) = 4 pts. The above distinctions are based upon acceptances in PSA recognised exhibitions. The PSA has introduced a new distinction based on portfolios of work. Portfolio distinctions are given for a body of work, Print or Digital, that reflects a photographer’s personal style and photographic interest. Creating a Sequencing Photo Using Photoshop from PSA on Vimeo.